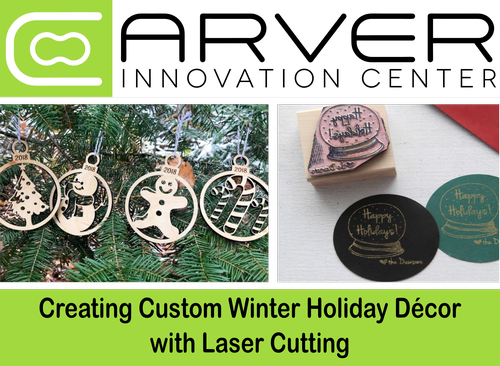 Come prepare for the upcoming holidays by creating some of your very own custom winter holiday décor using the power of lasers! Laser cutting machines provide a wide range of opportunities and possibilities for designing and fabricating goods. The versatility, speed, and precision of a laser cutter enables makers, hobbyists, and entrepreneurs to produce everything from simple machine concepts and prototypes to packaging to invitations and photo engraving. The registration fee is $25. Please register in advance. This class is designed for a maximum of 15 participants.